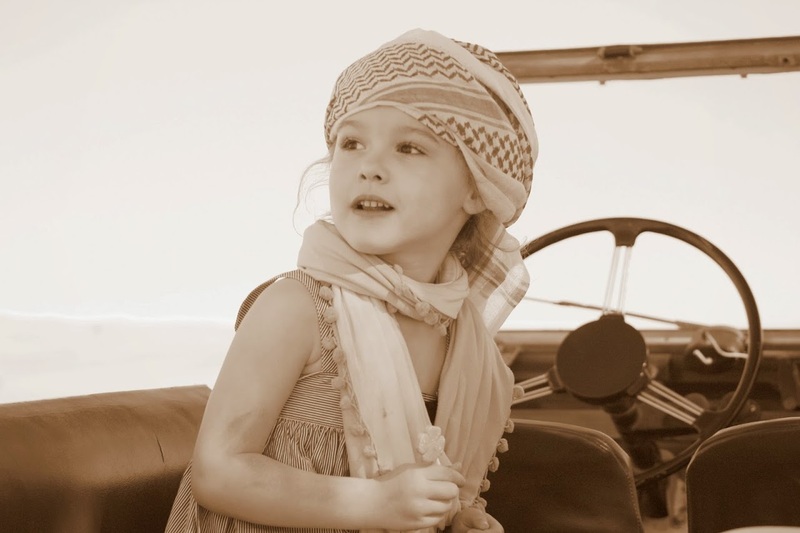 Claudia had the time of her life riding a jeep through the Rub' Al Khali desert. It was at this moment I realized how different we are. Her: arms in the air, hooting, hollering. Me: white knuckle grip on the seat, saying prayers. I'm glad she's a happy bird because maybe she'll rub off on me. 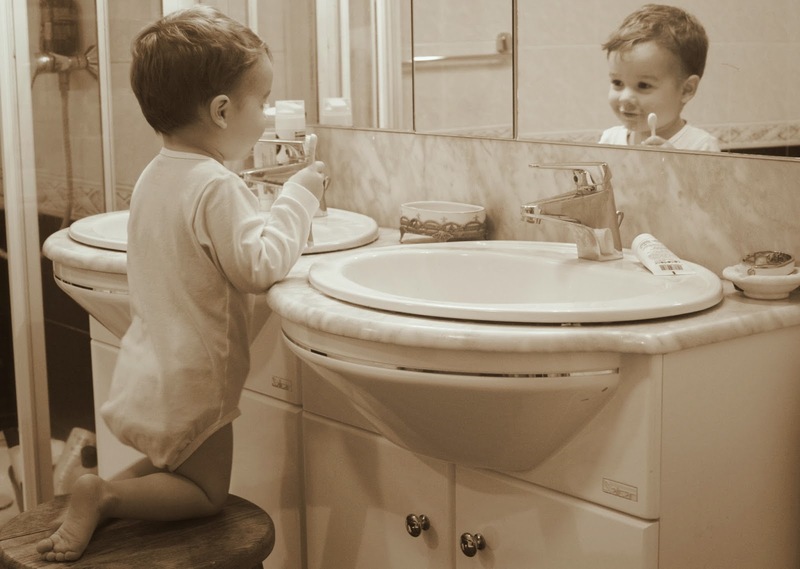 Paddy, my kindred spirit, who understands the importance of good oral hygiene. Every week he impresses me with a new act of independence! I always love Claudia's hats and scarves! You dress her so cute! I keep thinking of trying this 52 week project...maybe I'll join you! That picture of Claudia could be in a magazine! Love it! These are beautiful pictures of your kiddos. The sepia effects a timelessness; I love it! A sense of adventure is a wonderful thing to have rub off on you, adorable kids!